We got to school at 7:30 a.m. and . . . Wait? Where are the lights? 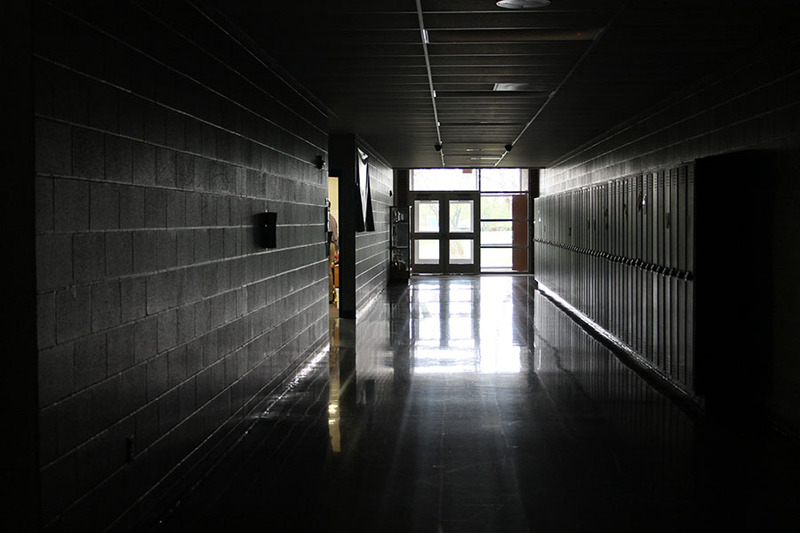 Hallways were dark, some classrooms had no light, the flickering lights only illuminated some and others had full power. From 7:30 to 9:46, we sat in our first hour doing absolutely nothing. Students went to well lit classrooms, and we all just sat and waited. Most students were excited about the thought that if the cafeteria did not have power they could not feed us and boom! We are out! The disappointing news traveled the school fast: The cafeteria had full power. So, we all moved to our fourth hours and waited some more. And waited . . . and waited. All we did was wait. It was absolutely, positively ridiculous. They just should have let us go. We have not had a snow day this year. It would be one day. Only one day to make up, and seniors would not have to make it up at all. But we stayed. And we waited . . . and waited. Teachers knew nothing and some students were talking about the vicious rumor that we were getting out early. But were we really? No one was telling us anything. So not only were we sitting in the dark, we were also in the dark about what was going on. It was extremely annoying. The major question arouses: Why are they keeping us here? Every student was complaining about how they were doing nothing. And when I say nothing, I mean absolutely nothing. At 11:45, the news was official. We were getting out early! Woo-hoo! Ultimately, the decision was made that if the students could not learn there was no point in being at school.